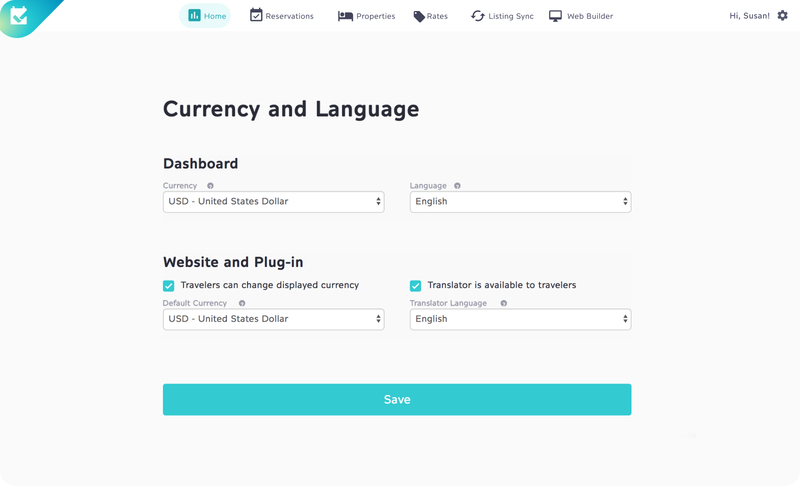 Choose from 120 languages and any currency. Set your Dashboard with your preferences and update at any time. Control a listing in Spanish, a booking in Pounds and a website in English, whatever works best for your business!